Do you know this song written in 1962 by Malvina Reynolds? Sound familiar? Those of us in suburbia can probably all relate to these lyrics. In the land of urban sprawl, subdivisions, and big box retailers, I crave individuality. Some people in my boat might dye their hair a strange color, run away to Brazil with an Italian boyfriend, become an obsessive triathlete, spend too much money on fancy cars, or a myriad of other things that would not be politically correct of me to mention in this format. I live in a subdivision in the suburbs. I also live in the most popular model built in my subdivision, which is named after the subdivision itself. How's that for originality? Since we tend to spend a lot of time at home in this culture, I have tried to create an oasis of originality behind our closed doors. Design is how I leave my mark, it's how I feed my soul, it's what keeps me from blending in. It's the layers and the textures, the history, the colors and mostly, for me, the details. 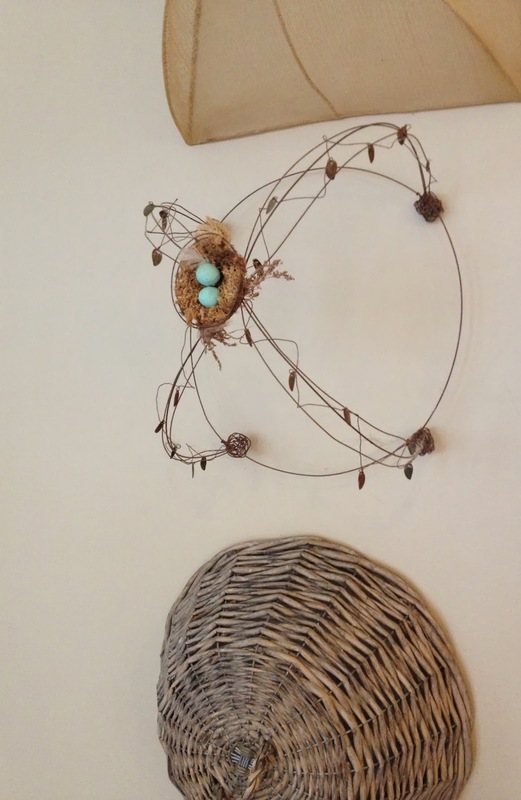 Here is a highlight of some of those details, and proof that even a cookie cutter home can become something unique and special....your own. Antique Italian chair, faded and chipped to perfection, found at Scott's. 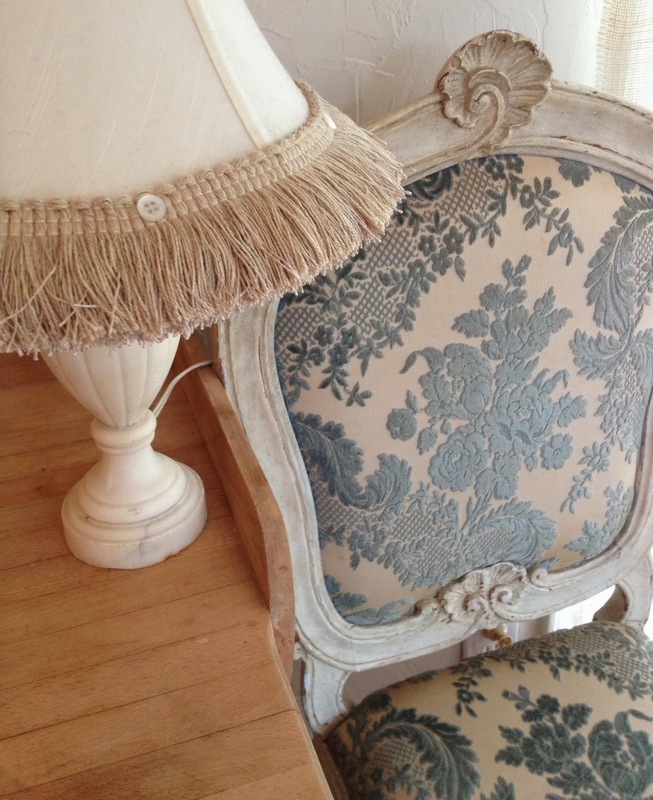 Fringe and button trim applied to shade on marble lamp. Collection of food cloches in the kitchen. 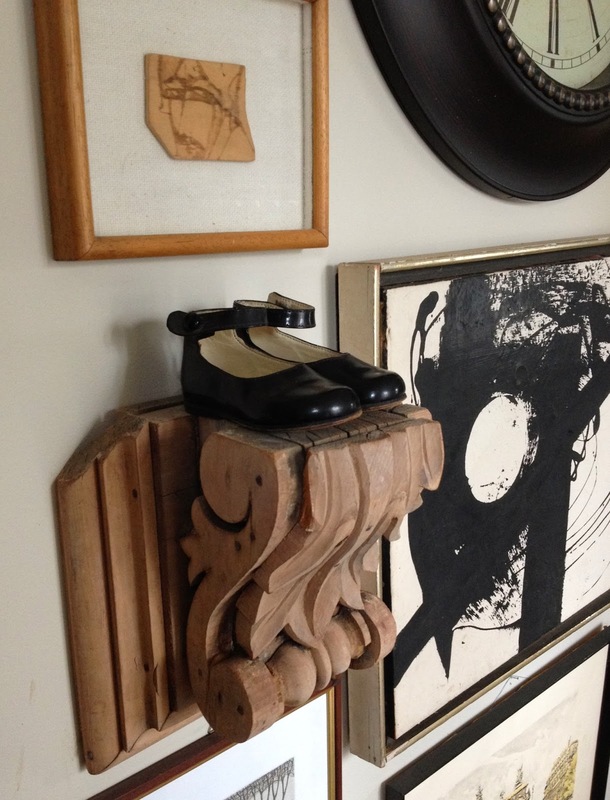 Antique corbels under kitchen counter. My daughter's first shoes on a pedestal in the office. 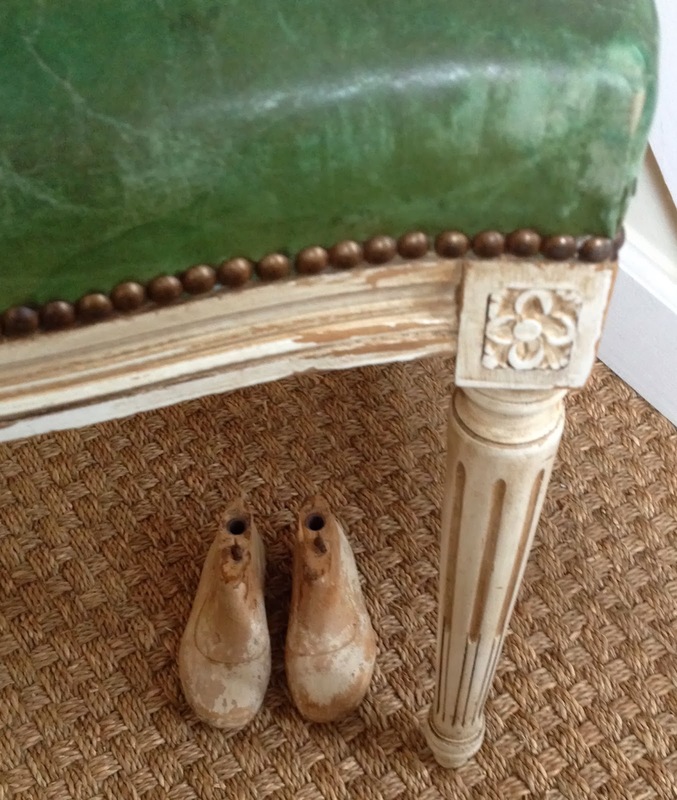 Estate sale green leather chair and Swedish shoe lasts. 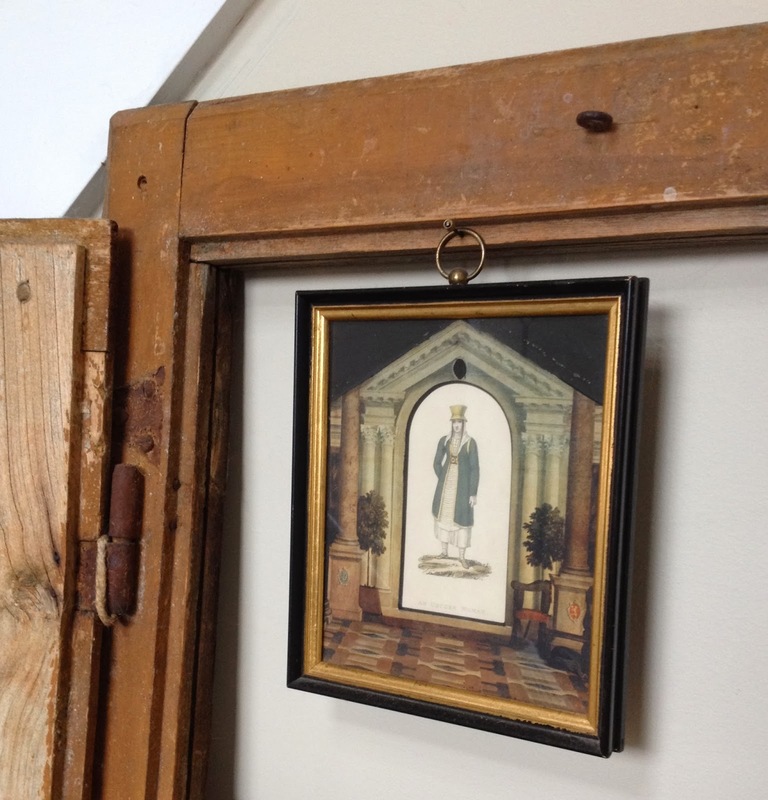 A trio of prints hang in an Italian farm window. 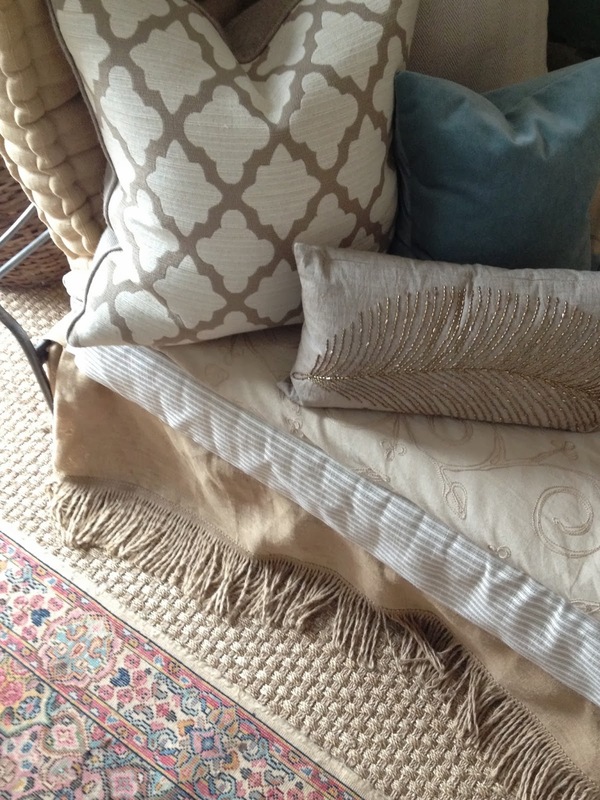 Layers on the floor and on the daybed. 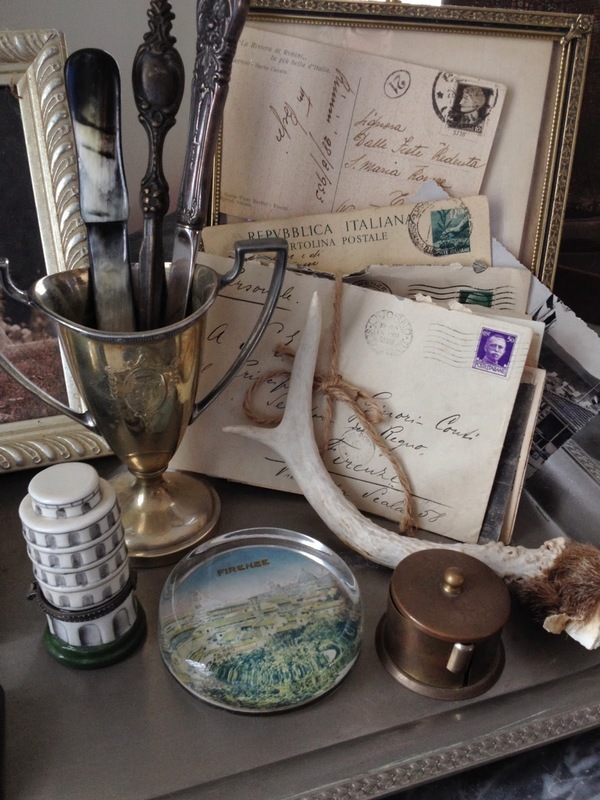 On a writing desk in the living room, I keep a tray of Italian memorabilia: vintage love letters, paper weights, letter openers, stamp box. 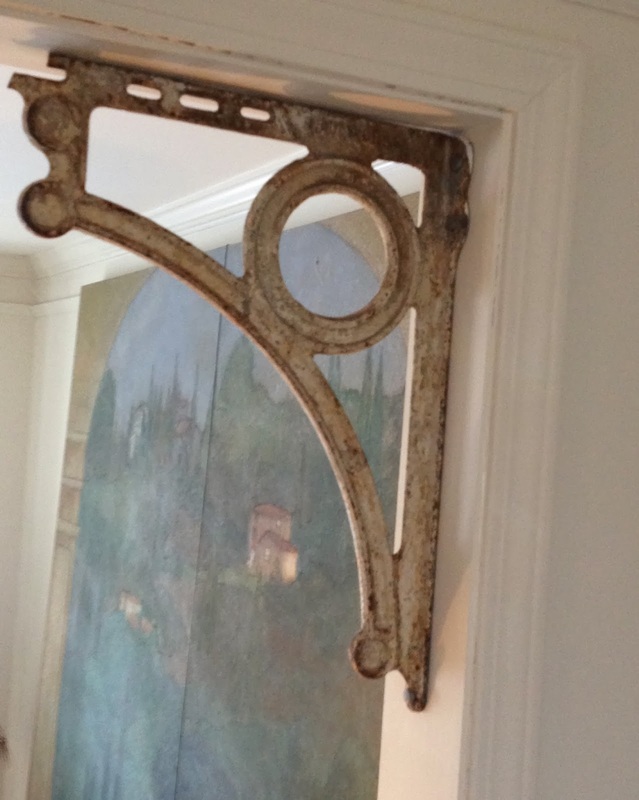 Old iron brackets make a visual archway between the living and dining room. We are expecting the mother of all ice storms tomorrow. Be safe, and charge those phones! 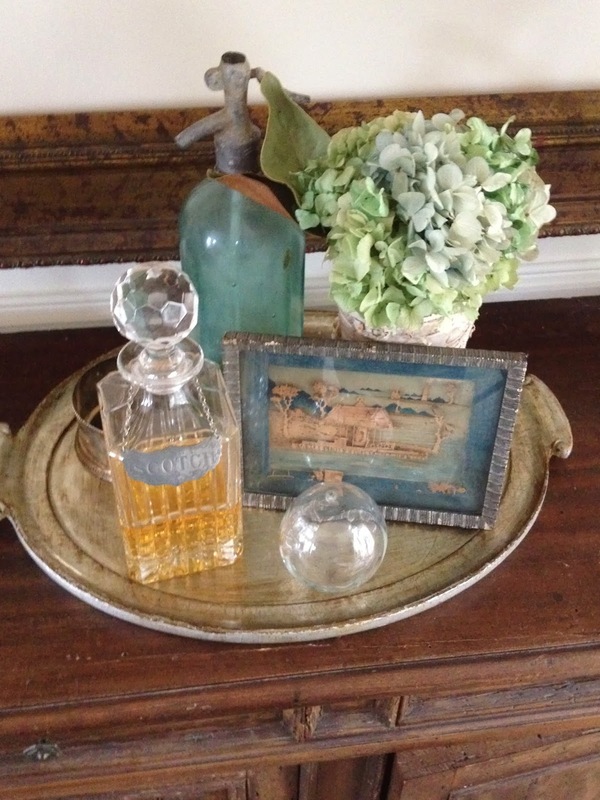 Lisa....you know I love your home and style....it is anything but cookie-cutter:) I could look at vignettes all day long! I don't think any of us fit the "cookie cutter mold" if we are designers! We're always out there, looking and researching, and buying just the right accessory to make us individuals… I love all your Italian pieces and the textures you have. 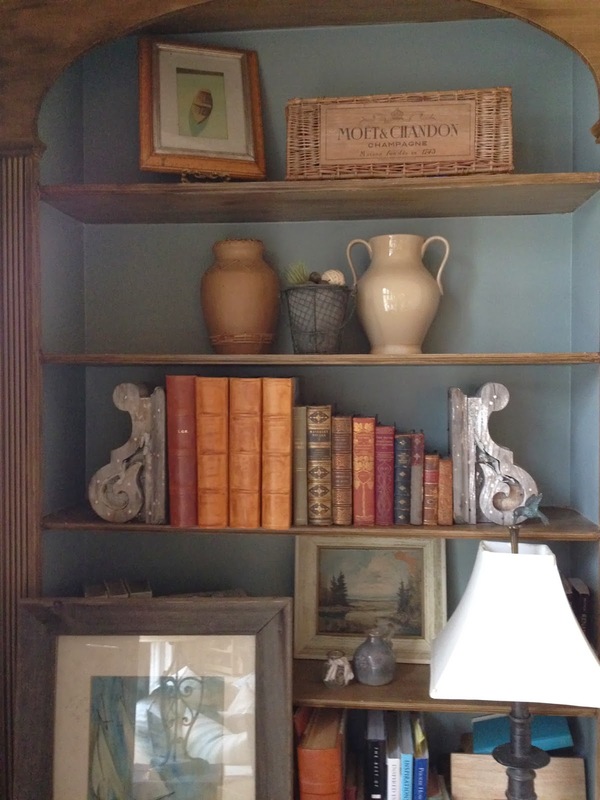 The antique corbels under the kitchen counter are fabulous: ours are very stock, out of the box, type. Hmmm. May have to rethink these! We're still waiting for the ice and/or snow to start here, although it feels so raw outside! Stay warm.